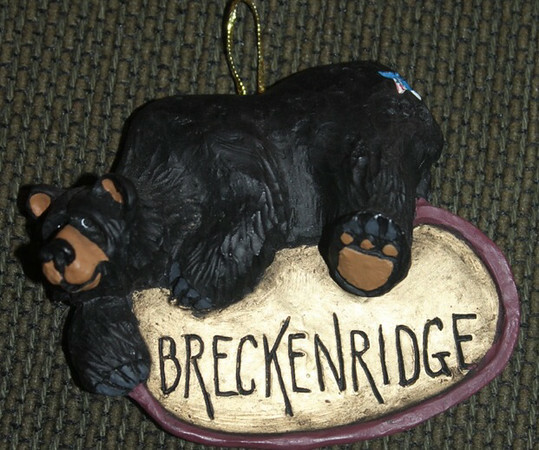 In December of 2005, we took off to Breckenridge with baby Reagan. I am not sure if you know this or not but day care for a baby is much, much more expensive than skiing. Reagan seemed to enjoy the day care though I was never nuts about dropping her off. We skied a few days and even had a day off of skiing. The most memorable moment of the trip was me falling. I was standing talking to Robby and just feel right down. I didn't think anything about it until we skied on for lunch. As I pulled off my ski pants, I quickly noticed that my white long underwear was covered in blood from my knee. I had sliced my knee well enough that I had to get stitches. So off to the clinic I headed. I was very low priority that day, which was a good thing, but that meant that I had to wait for hours upon hours. I still have a scar from all of that! The kids would love to go skiing and I think that I would be fine with that-of course, my people would all probably be wearing helmets and I would be back at the condo making soup for them!